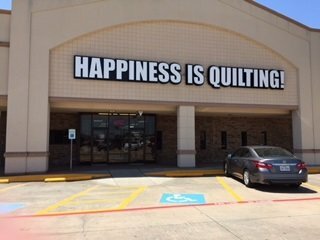 Founded in 2006, Happiness Is ... Quilting! is a full-service quilt store offering quality fabric, notions, books, kits, patterns, classes and friendly customer service. Our knowledgeable, friendly staff is made up of experienced quilters to help you with all your needs. In 2015, we added PFAFF sewing machines and accessories to our inventory of products; and in 2017, we added BERNINA sewing machines and accessories to our inventory of products. We also offer service for all makes and models of sewing machines. Our machine technician, Anne Bartholet, is certified to service both PFAFF and BERNINA machines. We carry a wide range of quilting fabrics specializing in historic reproduction fabrics including 16th and 17th century Dutch chintz. We feature wool, specialty threads, English Paper Piecing and applique products. We offer a full spectrum of classes from beginning sewing to advanced piecing and hand-sewing to machine sewing classes. 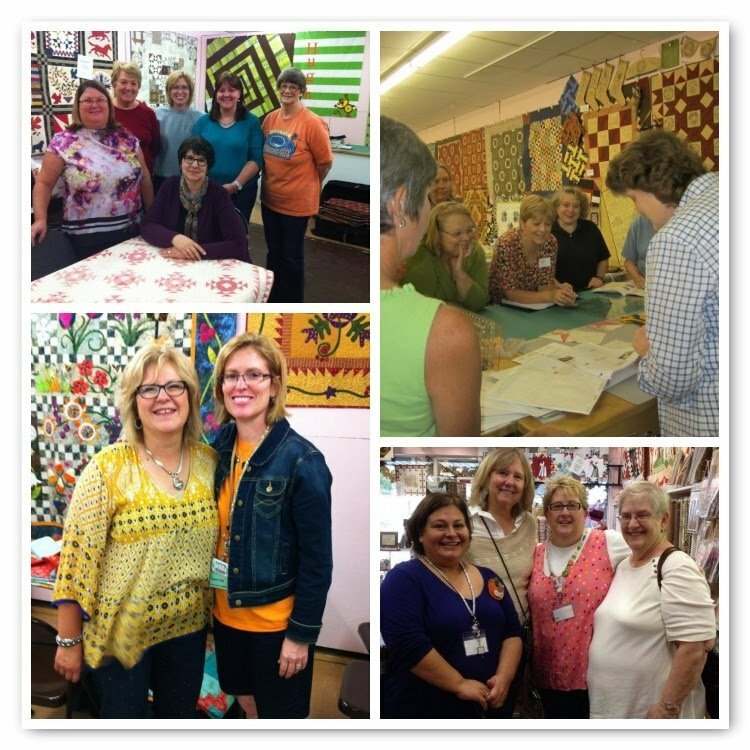 Whether you are a beginning seamstress or a seasoned veteran of quilting, we have a class or project or supply to interest you! We take pride in our Block of the Month programs. Our creative staff carefully select and construct samples of these projects. Blocks can be picked up in person or we can ship them to you. Take a peek through our doors and see photo highlights from the 2011 Quilt Sampler article about our shop (http://www.allpeoplequilt.com/magazines-more/quilt-sampler/happiness-quilting). 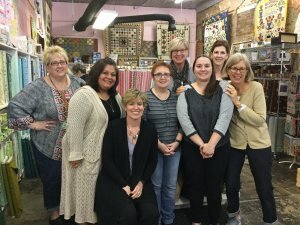 Read a fun article from Moda's Cutting Table Newsletter that was published in February, 2014 (http://blog.modafabrics.com/2014/02/featured-shop-happiness-is-quilting-mckinney-texas/). We were located on Kentucky St. on the Historic Downtown McKinney Square for just over 10 years and moved to our current location in May 2017.